Korean cuisine is characterised by a number of flavours and techniques, from sultry ferments to spicy pastes and crisp, crunchy fresh vegetables. Meat, often marinated and barbecued, plays an important part, as do vegetables (both fresh and fermented), rice, buckwheat noodles and cellophane or sweet potato noodles. There are a few Korean store cupboard ingredients worth stocking up on before tackling these recipes, such as gochujang (chilli paste) and dwengjang (fermented soybean paste). This collection of Korean recipes contains both classic dishes and some clever spins on Korean flavours and techniques. If you want to learn how to make kimchi, the spicy fermented cabbage synonymous with Korean cuisine, there are plenty of kimchi recipes to choose from. Judy Joo's Cabbage kimchi recipe sticks with tradition, while Anna Hansen's fennel kimchi and Peter Gordon's savoy cabbage and brussel sprout kimchi demonstrate that experimenting with more unusual vegetables as the base can certainly pay off. 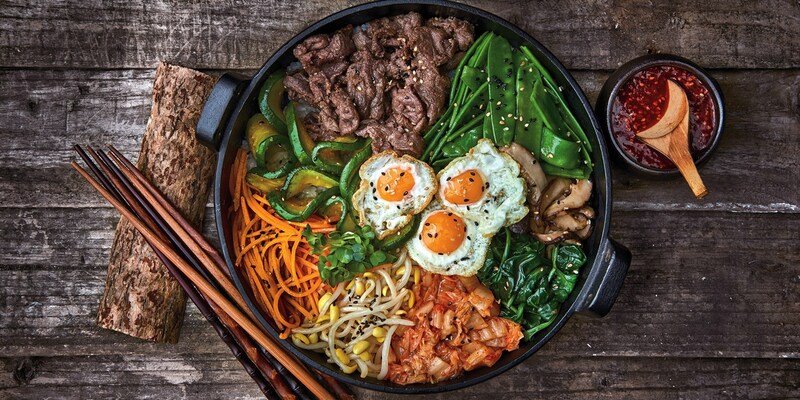 For a fantastic hearty supper try Judy Joo's Bibimbap or Korean fried chicken recipe, Louise Robinson's japchae recipe or try Victoria Glass' easy Beef bulgogi recipe with quick pickled carrots and vermicelli.